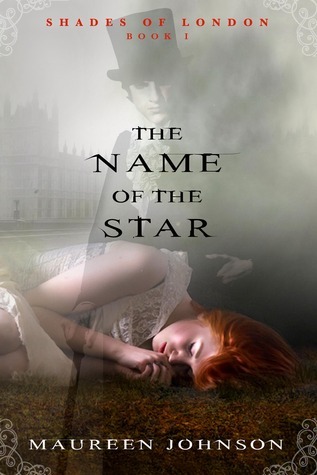 Today marks the release of Maureen Johnson’s delicious new Jack the Ripper novel, The Name of the Star. It’s the first book in Johnson’s new Shades of London series, and it is an absolutely perfect October read. Tahereh Mafi, debut author of the upcoming YA novel Shatter Me, is having a contest on her site. She’s giving away ARCs of her book, Ally Condie’s Crossed, and Stephanie Perkins’s Lola and the Boy Next Door (follow-up to Anna and the French Kiss, which I adored). 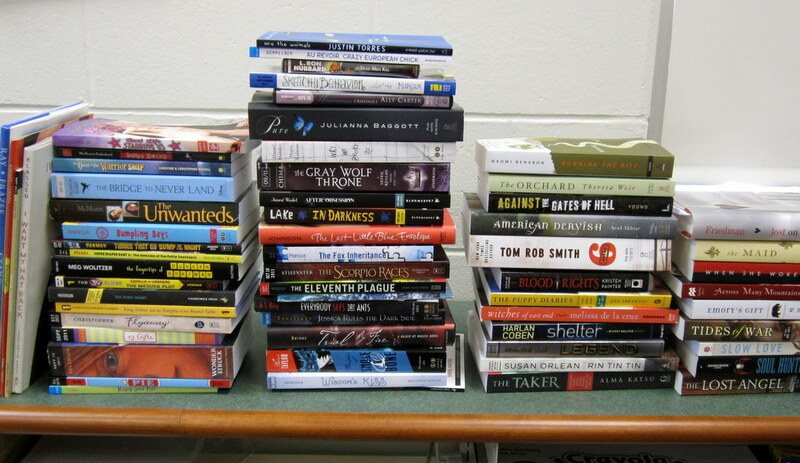 These are all hot titles with a lot of buzz that will be released this fall. You have until this Wednesday if you’re interested in trying to win an advanced copy. Click here to get to the contest, and good luck! If you haven’t read this book yet, go buy it. Okay, do you have it? Good, because this is the most feel-good concoction of summer perfection I’ve ever read. I actually read it 2 months ago, and I’m still sad that I will never again have that “My God, this is amazing!” feeling of a first-time read of Anna. I envy you for just settling down with it, meeting Anna and Etienne for the first time. My friend Julie gave me a copy for my birthday in February, she was wild about this book. When I finally sat down to read it, I was so smitten I stayed up all night to finish it. I literally went to bed at 7am on a Sunday morning because I was wide awake with it and couldn’t stop reading. I can’t remember the last time that happened. Read all of my ARC of Brian Selznick’s Wonderstruck. It was absolutely gorgeous in every way, and it took 3 hours to read. My first 24 hours in the 48 Hour Book Challenge are done. I read Brian Selznick’s Wonderstruck in 3 hours, I spent 3 hours listening to the Moon Over Manifest audiobook, & I spent 1 hour on book posts on my blog. Today, just a short post to check in, back to reading! Read more on First 24 Hours Done…. Check Out My BEA Guest Blog Feature! Other BEA posts: BEA 2009, BEA 2011 Pt. 1, BEA: The Books! 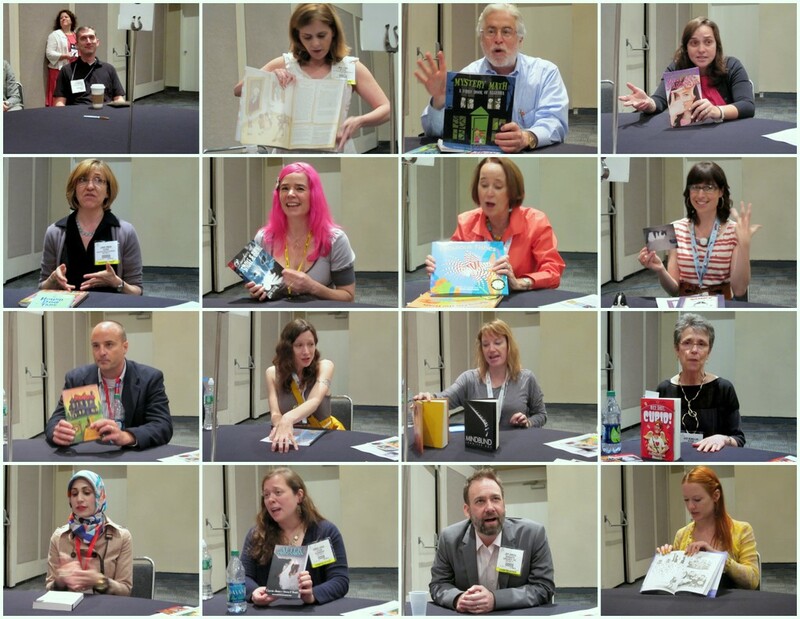 I mentioned that last Tuesday I attended the Children’s Book Council event “Children’s Author Speed Dating” at BookExpo America. And I’ve guest blogged about the event over at author Tara Lazar’s blog. I’m really excited about this, not just because it’s my first guest blogger post. I’ve been following Tara’s road to publication for a couple of years now, and I can’t wait for her book MONSTORE (Aladdin/Simon & Schuster) to hit shelves in summer 2013. I hope to line up for one of her events at BEA pretty soon. Other BEA posts: BEA 2009, BEA 2011 Pt. 1. Let’s just take a moment to breathe this in, shall we? 63 books. Sixty-three glorious books. In TWO DAYS. And yet the more I read about BEA, the more I feel I need to do differently next year. People seem to have the science of BEA-going nailed down to precise Swiss-inspired movements, but I stumble around from booth to booth gawking at beloved authors and grabbing bags. And donuts. 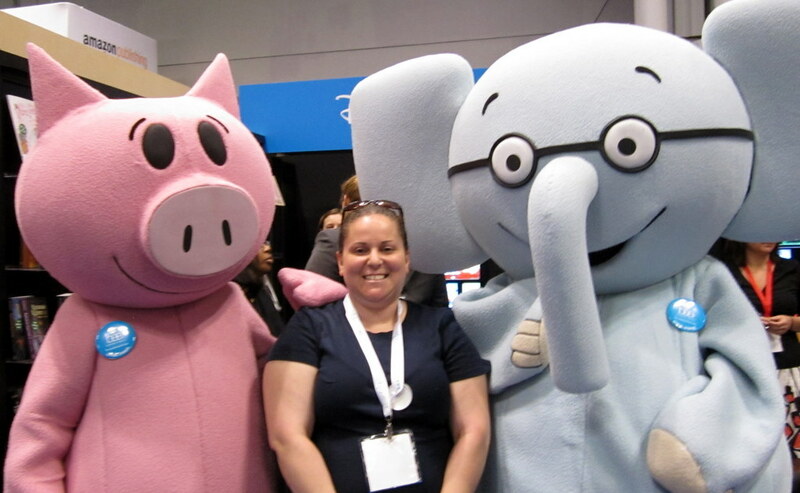 And posing with Elephant and Piggie. Don’t get me wrong, I brought my “A” game this week. But I’ve only been to BEA once before, and that was 2 years ago. I’m out of practice, and I haven’t perfected my technique. Tickets to great signings were not obtained, video cameras were forgotten at home, and I didn’t believe in the sweet relief of bringing an empty suitcase until Day 2. I finished the audio book of City of Fallen Angels, the 4th book in The Mortal Instruments series, 3 weeks after I posted about it’s release. That’s because I was still finishing up the first book in Cassandra Clare’s new series The Infernal Devices, Clockwork Angel. And I’m really glad I finished them in that order. I was actually working on Clockwork Angel and City of Glass (the 3rd Mortal Instruments book) at the same time. It got a little confusing keeping everything straight at times, but since there are some crossover references I’m glad to say I have now finished all of Ms. Clare’s books. And I love them. 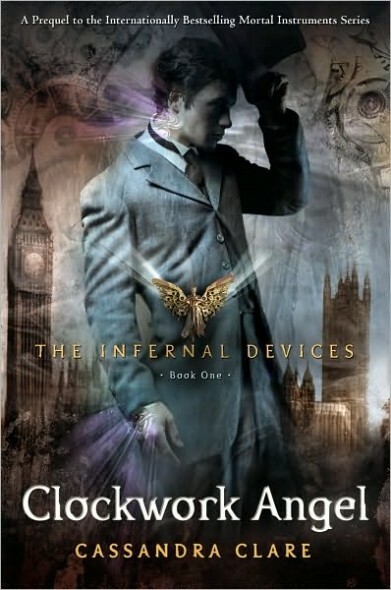 Clockwork Angel takes place in Victorian London, about a decade after the much talked about peace treaties between Shadowhunters and Downworlders in The Mortal Instruments series. This story focuses on Tessa Gray, an orphan girl lured from New York to London to live with her ne’er-do-well brother after the death of her aunt. When she arrives in London, however, she is captured and tortured by the Dark Sisters, who reveal to her that she is a shapeshifter (an “Eidolon”). They answer to The Magister, a mysterious figure who apparently wants to marry her. 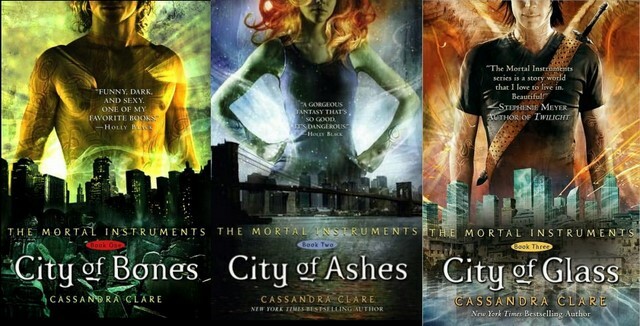 Today is a hugely exciting day in the world of YA lit, because Cassandra Clare’s Mortal Instruments #4, City of Fallen Angels, is finally released after a 2-year wait. I am halfway through #3, City of Glass, but I wanted to celebrate the latest book’s release. So, instead of waiting to catch up entirely with the series (which I have just finally started reading this year), I thought I’d talk about the first two books, City of Bones and City of Ashes. I know I’m the last person on the internet to talk about the casting of Jennifer Lawrence as Katniss Everdeen, but I was in Amish country. 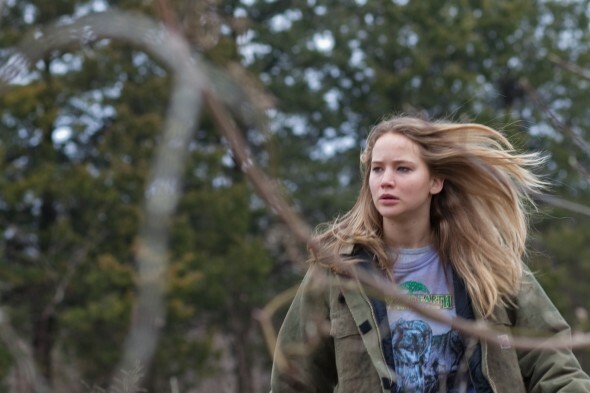 Jennifer Lawrence will be Katniss in the upcoming Hunger Games movie! And it has a release date: March 23, 2012. Just a year to wait. A year from this Wednesday. I can do that.